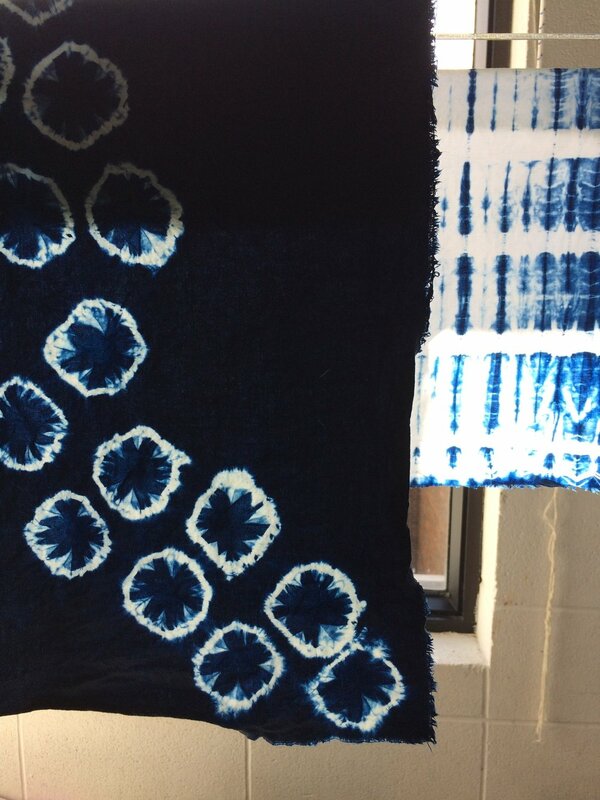 Over this 2-day workshop, participants will explore the Japanese resist-dyeing technique known as, Arimatsu Shibori. Stitching, pleating, binding and pole wrapping are some of the methods covered while participants create their own set of samples using a variety of cellulose fibres like cotton, rayon and linen. Together we will set up a pre-reduced indigo kit while we explore its rich history and lore. In addition to the samples, each participant will work on a more significant piece such as a scarf or wall hanging. No previous experience necessary! Please bring an apron and nitrile gloves; all other supplies included.